Heather Rohrer, MPAS, PA-C strives to provide her patient’s with the most advanced non-surgical aesthetic procedures that achieve the most natural looking, long lasting, and youthful beauty offered in the cosmetic industry today. 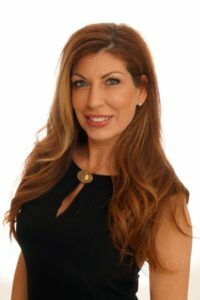 Heather is an experienced and advanced trained aesthetic medical provider earning top reviews and diamond status with the companies she works with. Her extensive experience as a Physician Assitant includes working with top neurosurgeons, orthopedic, and plastic surgeons in their field. Heather’s affinity towards aesthetics has always been her passion. Today, Heather now focuses her practice on providing personalized care to patient’s interested in aesthetic and regenerative medicine. As a respected and experienced clinician, Heather has always felt a sense of duty for giving back to those who have limited access to medicine. She has helped organize and take part in numerous medical missions to countries in Asia and Central America providing life changing surgical procedures to individuals in underserved communities. Heather is a mother of a beautiful young daughter and handsome teenage step-son. She is an artist that loves to paint, studies beauty and aging, and enjoys giving back to her community.